First of all: YOU MIGHT NOT WANT/NEED THIS ASSET. Use Ploppable Rico, Move it! and Anarchy to plop and move this asset “under” other buildings. 1)The idea here is to NOT put this asset everywhere, because that might cause some traffic issues. 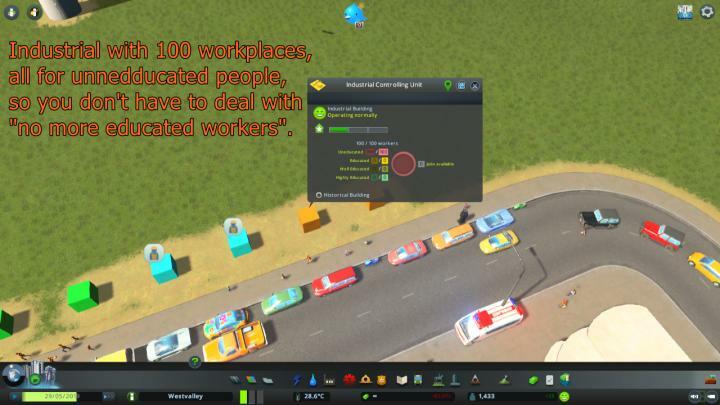 The idea is a quick fix for demand/unemployment issues. 2)You might want to set this building as “historical”, to avoid it leveling up to something else. Not sure about this though. 3)Don’t put this in a polluted area, or it will surely be a nightmare. 4)If you place under a growable building, that building will despawn. To avoid that you will have to place under ploppable buildings, or use Plop the Growables. Hope you like it. Thumbs up if you do.